I really love overnight camp. Take a group of kids, get rid of their mobile devices, electronics, normal daily routines and, yes, parents and place them on an adventure. What kids get is the opportunity to discover so much more about who they are and those around them. An adventure is essential to the soul. It feeds the need to discover the natural world and, in doing so, teaches you about yourself. Just last week, I worked with a kid who was petrified about participating in what we call ‘The Big Gulp’. Essentially it’s a giant swing that you are harnessed in to. Your friends haul a rope, which pulls you to a high point. At said point, you release another rope and take the worlds largest swing, usually screaming like a banshee all the way. This particular boy was not going to go. Nope. He was faced with something he viewed as too risky and too scary. However, I’m good at talking people onto the cliff, and he went on the swing. In a matter of seconds, that boy was transformed from terrified to being ‘All That’. The opportunity to accomplish something that seemed so scary provided a serious confidence booster and a well-deserved smile afterwards. 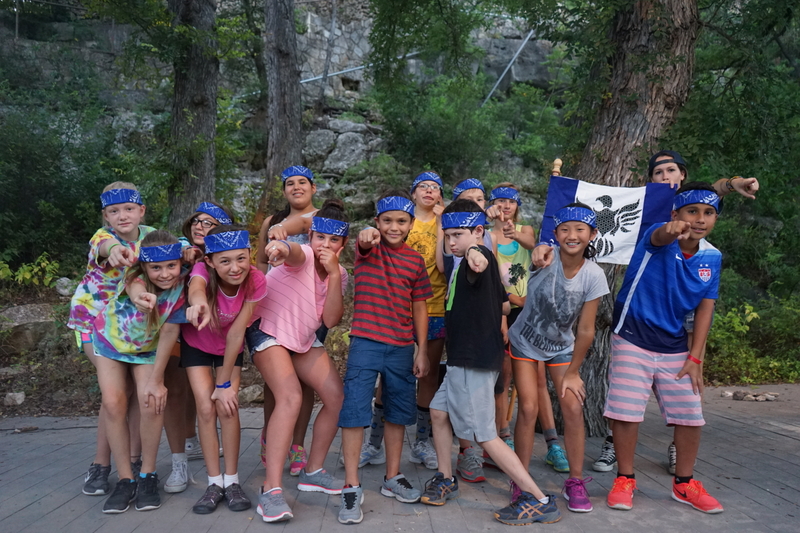 Our campers at Echo (ages 13-16) are a diverse group of teens. They are a blend of racial, ethnic and economic backgrounds. Yet, when faced with a long hike into the backcountry in hot weather, they come together to support, care for and elevate everyone around them. Faced with an obstacle, they come together and not apart. They find joy as one and learned some serious lessons that they will take with them long after camp is over about what makes a person great and how diversity enriches the group dynamic. When our kids go off to camp, they get themselves up at 7 AM, paddle down a river, zip line through a forest and discover a shooting star…and they do it all without their parents. That realization has the curious effect of blossoming confidence and independence. Their wings begin to grow and they return home happier because you gave them that chance to be independent. If I look at the world around me, it’s clear we have a lot of issues. Wars, politics, racial division, crime, murder are all at the forefront of the news hour. It’s good to know we’ve got camp as a safe place to grow great character and it’s good to know that parents understand the value of making that part of their kids’ life. Camp is a force for good when done right. It’s an opportunity to bring out the best in kids and those who work with them.